The Anita Dining Chair by Ottiu is inspired by the iconic 1950’s starlet, Anita Ekberg. 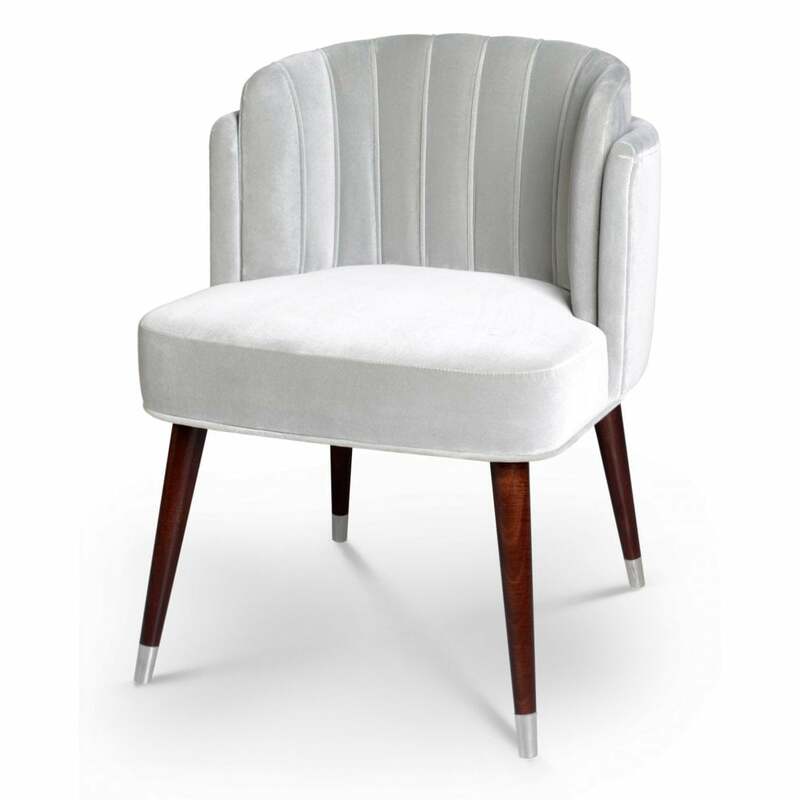 This striking chair has an art deco shape with luxurious velvet upholstery. Supported by long, beechwood lacquered legs and brass accents, Anita will make an elegant addition to your dining room scheme. Part of the Century collection, choose from a range of upholstery options to suit your home décor. The Anita Chair looks beautiful in elegant silver, pretty pastels and mustard yellow. Get in touch with our team for samples and specifications. Priced for Upholstery: Ottiu Fabric. Structure: Beechwood, lacquered legs with high gloss varnish. Details: Polished brass feet.